Dr. Ralph Turner has diverse experience spanning more than 30 years in the field of biogeochemistry of terrestrial and aquatic ecosystems. After completing his PhD in 1975, Ralph became a researcher in the Environmental Sciences Division of Oak Ridge National Laboratory (ORNL), Oak Ridge, Tennessee. During his 22-year tenure at ORNL he conducted extensive research and characterization at two large mercury-contaminated sites: a defunct chlor-alkali plant and a nuclear weapons plant. In 1997 he joined Frontier Geosciences, a specialty research and analytical services company in Seattle, Washington. 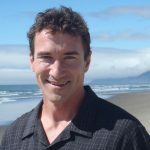 In February 2000, Ralph formed his own company, RT Geosciences Inc., now based on Vancouver Island, BC. His work includes project planning (mainly sampling and analysis), conduct of special field and laboratory projects and reporting/expert advice. Although he has expertise in metals chemistry generally, he often focuses on mercury (Hg) contamination; examples include Hg treatability studies, measurement of soil and water fluxes of Hg vapor, sediment pore water extraction and analysis, dendrochemistry to reconstruct historic atmospheric Hg releases, building decontamination, Hg immobilization studies, soil/sediment Hg speciation studies, thermodynamic modeling of Hg behavior, and groundwater tracing study using dye and fluoride. For one of the major environmental remediation projects in BC (the Squamish Hg chloralkali site) he was the Environment, Health and Safety Manager. Ralph has served on numerous expert panels related to Hg in the environment (e.g., sediments in the St Lawrence River near Cornwall, Ontario, the Shenandoah River system in Virginia, and East Fork Poplar Creek in Tennessee). With Azimuth, Ralph has worked on two mercury mine assessment and remediation projects in BC– both of which involved risk assessment. Through RT Geosciences, Ralph has been an Associate of Azimuth since 2005 for his work in Canada.